As the world leader in the professional nail care industry, OPI, a division of Coty, is committed to providing high-quality products and services with a focus on industry safety and innovation. Known for its exceptional formula, fashionable colors and iconic names, OPI’s heavily-pigmented lacquers are super rich, long-lasting, and chip-resistant – offering an affordable luxury to consumers. Currently, OPI is available in over 100 countries and offers a full line of professional items, including nail treatments, finishing products, lotions, manicure/pedicure products, files, tools and acrylics. OPI places a strong emphasis on corporate social responsibility by raising funds and awareness for numerous charities through retail partnerships and grassroots philanthropic initiatives. They’ve developed professional products and services since 1979. They expand the promise and possibility of beauty for hands and feet! They aim to provide the salon and spa professional with everything they need for the highest-quality nail services. This includes products, services, education, and support. They’ve been pursuing this goal with unwavering commitment for over thirty years, and have been proud to have revolutionized the nail industry in the process. Each of their products is meticulously researched and tested before it ever reaches the customer. They have their own state-of-the-art laboratory and the scientific and technological know-how to engineer the exact products that professionals want and need. Once these products and services are in their hands, CND continues to offer support, education, and inspiration. Founded in Parma, Italy in 1983 by the Bollati Family, Davines Group started as a research laboratory, producing high-end hair care products for renowned cosmetic companies worldwide. 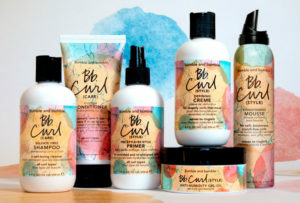 After a decade of honing their expertise, they began creating their own brand of Davines hair care products exclusively for salons, and in 1996 founded skin care for premier spas. Since the beginning, they’ve focused on crafting quality products that are scientifically engineered to work, and express their distinctive style and spirit. At Inflúance Hair Care we are dedicated to creativity, striving to provide innovative products promoting healthy hair, providing personal service of the highest quality to the professional cosmetologist, contributing to their overall growth and development, and nurturing the integrity and professionalism of the hair care industry as a whole. The Inflúance team combines to offer 60+ years of dedicated service to the hair care industry. Through our experience, we understand, and therefore specifically cater to the business demands placed on the professional cosmetologist. THE MISSION OF RHONDA ALLISON & COMPANY IS TO BRING HONOR AND INTEGRITY TO THE PROFESSION OF AESTHETICS. They are committed to excellence for the growth and enhancement of aestheticians. Further, it is their promise to bring each and every client’s skin to its optimum potential for health and beauty and provide continued support, service, and information. Forerunners in science-based skin care, Rhonda Allison products are a natural selection! They are a professional skin care company that offers not only cosmeceutical skin care products to licensed aesthetic facilities, but extensive education and services as well. Not just another mainstream cosmeceutical line, a choice that was made in order to bring more active formulas to the market requiring professional guidance in its use and application of the RA Systems, the Rhonda Allison difference lives up to its reputation as a leader in this field. Bumble and bumble began as an NYC salon where they clipped, colored and styled their way into prominence with a legendary editorial team, a strong design ethic, a Network of like-minded salons and extraordinary products (coveted by hairdressers, actors, models, and beauty junkies worldwide); to this day cultivating creativity whilst remaining deeply and passionately dedicated to the craft of hairdressing. 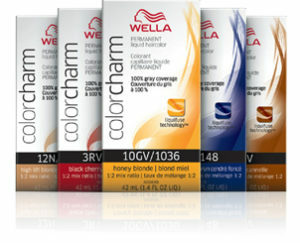 Wella was the first professional hairdressing company. No.1 in Professional color for over 135 years, Wella has been delivering innovations and services that enable hairdressers’ creativity. We celebrate and elevate professional beauty: crafted, bespoke and hand-made beauty transformations. 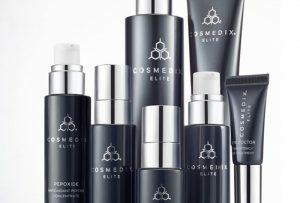 With super clean ingredients, clinical level actives, luxurious textures and pure natural botanicals, COSMEDIX delivers transformative results for all skin types and tones without harming your skin in the process. What you put on your skin is just as important as what you put in your body. As pioneers in clean skincare, our products have always been 100% free of harsh and irritating ingredients such as parabens, mineral oil, petrolatum, PEGs, sodium lauryl sulfate, hydroquinone, glycolic acid and artificial dyes and fragrances. Our formulas are also cruelty-free and approved by the Personal Care Products Council (PCPC) and FDA.